Rafting on the Tully River is certain to provide you with more than enough whitewater rafting excitement to satisfy your thirst for adventure! 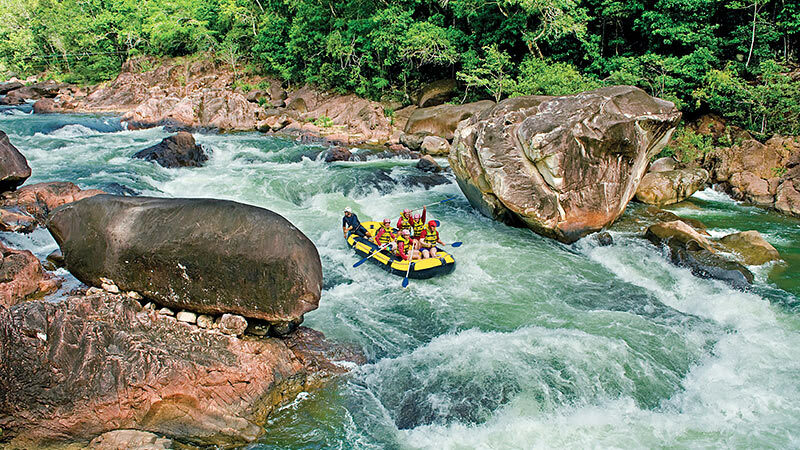 White water rafting on the world-class Tully River is a must-do for thrill adventure seekers and for white water rafting enthusiasts! 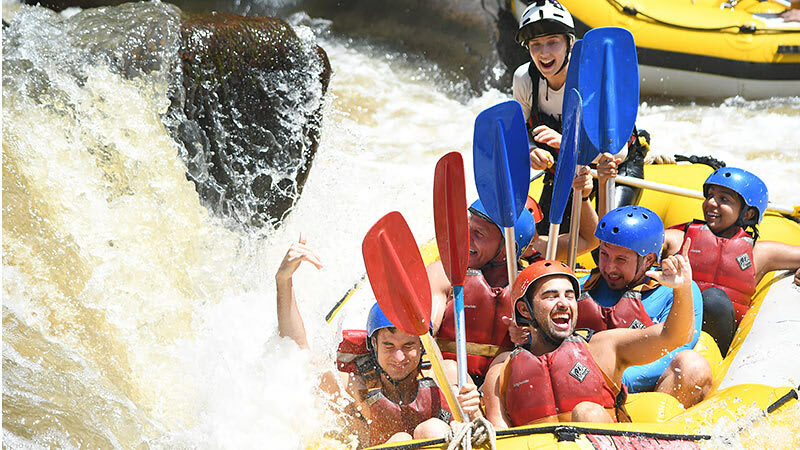 This full-day white water rafting adventure, near Cairns, will have you tackling over 44 action-packed rapids as you pass through World Heritage rainforest and below waterfalls that cascade down gorge walls. 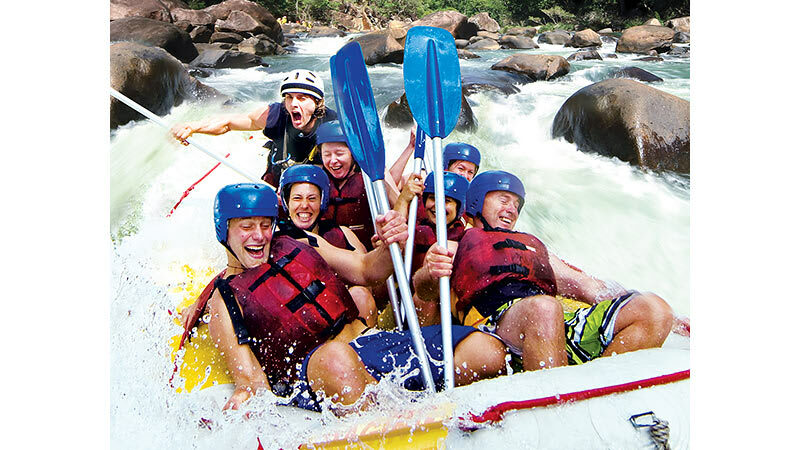 The white water rafting on the Tully River is rated moderate to challenging, offering mainly grade 3 and 4 rapids. Departing daily from Cairns, travelling to the upper gorge of the Tully River, your trained and experienced white water rafting guides will offer all the tuition needed to enjoy approximately five hours of white water rafting – including a safety briefing, paddling techniques, what to do if you fall out of the raft and, most importantly, how to create the best splash in the white water wars against other rafts. The rules of white water rafting are simple and will be enforced during the day, for your own safety and to help build confidence within your team. You'll enjoy a barbecue lunch on the banks of the river and a chance to take in the spectacular scenery. Then it’s back to the action in the foaming white water of the lower gorge. 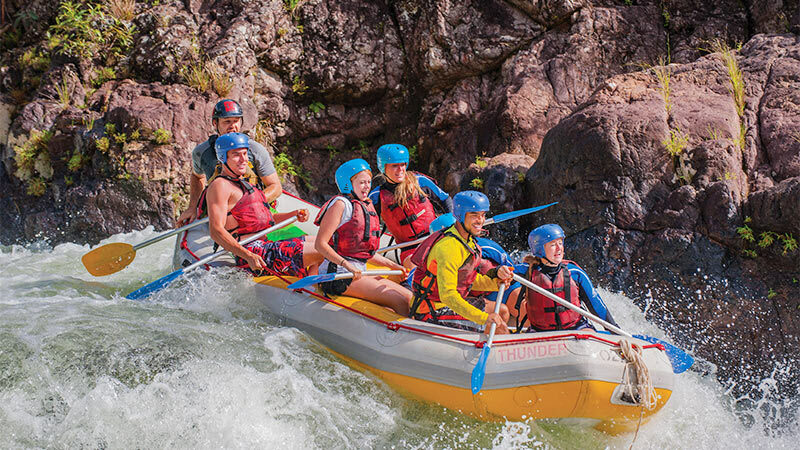 At the end of the trip you'll get to view your white water rafting action photos before you're taken back to Cairns. If you are over 13 years of age, love the outdoors and feel comfortable in the water, you are in for a great time! 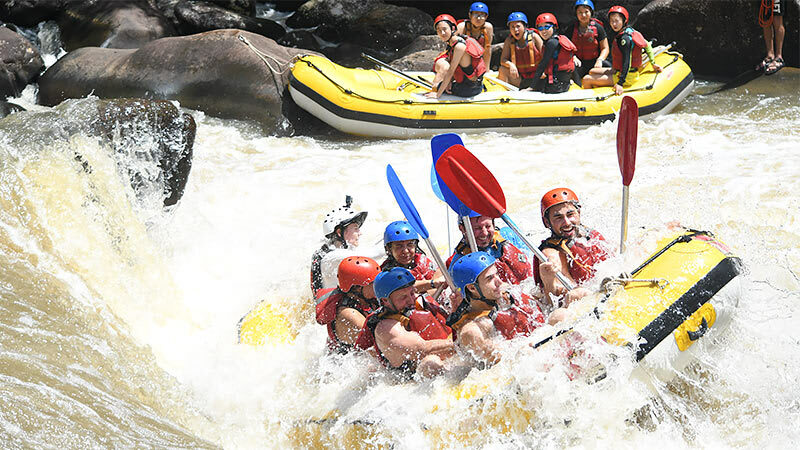 This full day of white water, adrenalin pumping action begins daily at about 6.30am and will have you returning to Cairns happily exhausted around 6.30pm depending on the day and river levels. Your trip will be photographed for you and will be available for viewing and purchase at the end of the day. You are welcome to bring along a waterproof disposable camera to capture the action. Free pick-up from all hotels and backpackers in Cairns is available. tully river white water rafting was a fantastic adventure. some things you have to do at least once in your life and this was one of them. I hope jose did ok in his big test on tuesday ???? Great day instructor Al was great to!!! It's a fun filled day with a very professional and experienced white water rafting crew. Lunch was only just ok, basic BBQ but the main experience was perfect and picturesque! Excellent day, good lunch. Open air changing and drying off at the end of rafting in the rain was a bit difficult but didn't detract from an excellent experience. Kiwi Jeremiah was a very good guide. Would recommend it and next stop extreme. 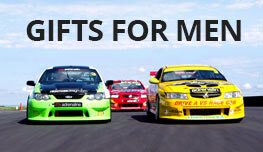 We did not need to deal with Adrenalin staff as all was done over the internet but the online service was excellent. The service provider was outstanding and we will definitely recommend both Adrenaline (for the great efficient website) and Raging Thunder for the day of rafting. A must do for all adrenalin junkies! My wife Charlene and I were looking forward to this trip as soon as we booked it 3 weeks before the day arrived- and we weren't dissapointed! We had Marty as our guide and he was the icing on the cake for entertainment value, but at the same time our safety was never compromised. It was the highlight of our trip by far, and totally recommend it to others. 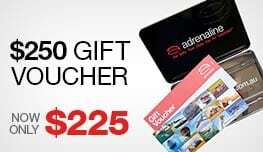 Well done to the adrenalin team for such a fantastic and well organised day of thrill seeking!!!!!! !